What are the key drivers to facilitate the transition to Electric Vehicles? At a recent Westminster Energy Environment and Transport Forum I was part of a panel addressing the issues associated with developing the infrastructure to facilitate the transition to electric vehicles. 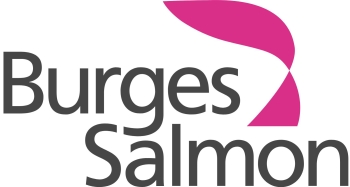 Burges Salmon’s two largest sectors are Transport and Energy so electric vehicles, and indeed Connected Autonomous Vehicles are an area where we are seeing considerable developments. Some of the observations I made are presented below. There is no doubt that there has been somewhat of a rush to catch up on the charging infrastructure needed to support the existing electric vehicles and those predicted to be purchased. It is absolutely essential that this charging point infrastructure is harmonised, the charge points need to talk to each other and hopefully the Automated Electric Vehicles Act will help that. What we have tended to see so far is a rush to grab suitable charging sites by developer and infrastructure providers. Parallels can be drawn with the UK solar boom some years ago. The concerns of many in the sector are that with that land grab and quick roll out of charging infrastructure often pursuant to grants, there is the potential for a high degree of redundancy in the medium term. Whether that's because the charging point infrastructure is inadequate, is not suitable for purpose as the electric vehicles develop, or in the wrong place, will remain to be seen. As we are rolling out charging points, it is essential that smart charging is part of it. As one speaker has put it, it is just wholly irresponsible if we are not employing smart charging alongside the rollout of charge point infrastructure. The UK’s record of rolling out smart systems is fairly dismal, but if, as predicted, the majority of electric vehicle charging is at home, it will be essential for those homes to have a smart charging solution, if nothing else to help the local distribution network cope with a multitude of new charging points all plugging in at the same time. Our view is that it is essential for the fleet market to embrace electric vehicles. Electric vehicles are not the complete solution for all, but they will play a big role. Most companies have embraced the move to low carbon with many signing up to pledges to use 100% renewable energy. The use of electric vehicles in fleets will be the next stage and one can foresee a situation where politically, companies have to be seen to be using low carbon vehicles. Fleets drive a huge amount of second hand cars, which will then come onto the market and facilitate the further development of electric vehicles.Talking to many, there is a real concern that the vehicle supply of electric vehicles is not out there and they are not being produced to the speed and the pace that is quick enough to satisfy demand. Within companies it is going to be important that both the fleet managers procuring vehicles and the energy managers of corporates get together and talk. The roll out of electric vehicles is as much, if not more, about the energy needs, requirements and supplies for the company and organisation, as it is about mobility. With those two divisions/people talking there is a real opportunity to put in place a sustainable solution for both the transport and energy needs of the company. Looking at the energy that electric vehicle fleets need ought to involve a holistic approach to the energy requirements of the organisation. Are grid upgrades needed, would some form of onsite renewable energy to provide the electricity be prudent? What about some form of energy storage? Can the electric vehicles while they are charging provide that storage and resilience? Electric vehicles will happen and the rollout of them is largely unstoppable. The issue posed to the UK is how do we capture the industrial opportunities from the rollout of electric vehicles and how do we ensure that any hindering factors, particularly around energy, do not stunt that growth and those opportunities. At Burges Salmon we are incredibly positive about the growth of sustainable transport in the UK. We have been working for some years on electric vehicles/transport, but also the next phase in terms of Connected Autonomous Vehicles and we must all remember that the move to sustainable transport will be a huge and revolutionary shift for the UK. The way we are looking at transport is changing dramatically and will continue to do so in a short space of time. Our thinking on car ownership, on transport and how we get from A to B could be blown apart over the course of the next decade. The UK needs to ensure that it is nimble enough to adapt. As an energy lawyer perhaps the most exciting opportunity which sustainable transport presents is the ability to provide a bridge to those people who don’t traditionally consider where their electricity comes from, how it is used and how it can be optimised. What an opportunity!